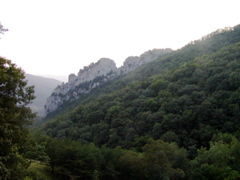 Welcome to the House of Trad, Seneca Rocks. 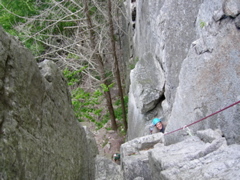 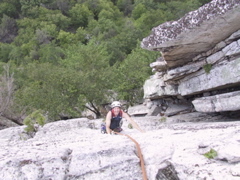 One of my favorite climbing areas because of it's abundant easy and moderate trad routes and a true summit instead of just a cliff top. 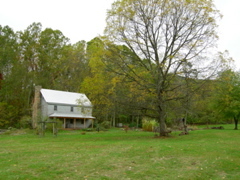 The lesser viewed east face. 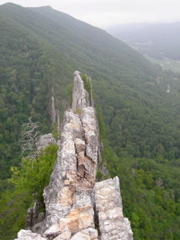 View from the North Peak, looking south. 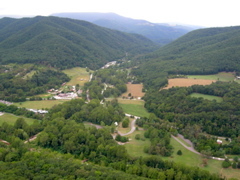 Looking north from South Peak. 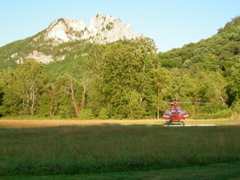 What you don't want to see at Seneca. 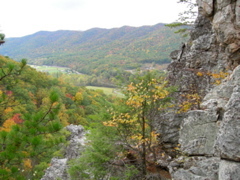 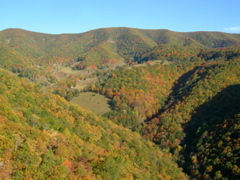 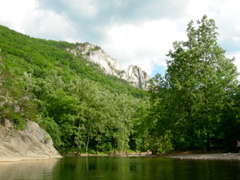 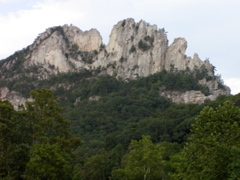 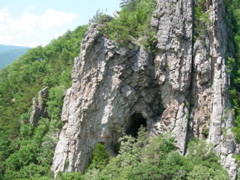 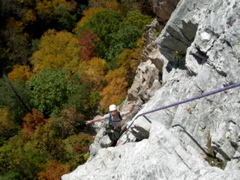 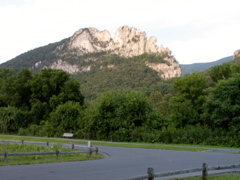 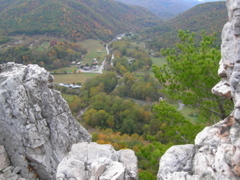 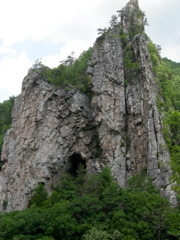 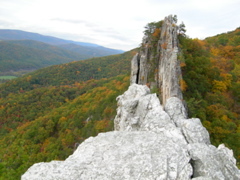 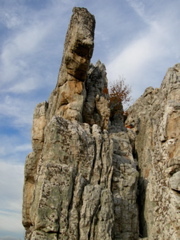 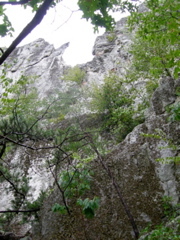 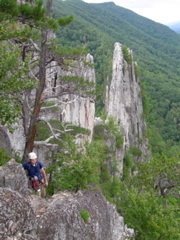 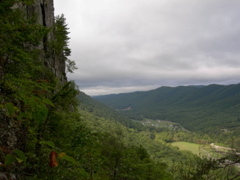 The town of Seneca rocks, looking west from the south summit.